Who took away the most gongs of the night? Another year down, another Wareable Tech Awards done, where we recognize the best in wearables, VR and the smart home over the past 12 months. And boy, was it a big one. Scroll down to see all the Award winners and Highly Commended devices, platforms, projects and startups below. And check out all the shortlists for each Award here. 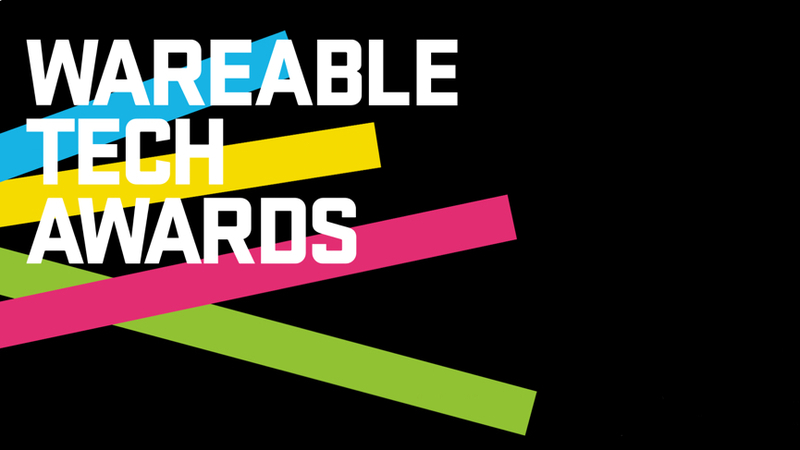 Congrats to all the Wareable Tech Awards 2017 winners for this year. Let us know which you agree with and which ones you think we got wrong in the comments section below. Wearable of the Year, the most prestigious gong bestowed on the night, went to the Fitbit Alta HR. While it doesn't have the flash and bang of some others on the list, the Alta HR strikes a perfect balance of style and substance with excellent health tracking, a seriously customizable design and unrivaled sleep monitoring. Naturally the Alta HR also bagged Fitness Tracker of the Year, with the Samsung Gear Fit2 Pro getting the award for Highly Commended thanks to that its killer touchscreen display and the addition of a waterproof design that also introduced swim tracking to Samsung's wearable range for the first time. For Smartwatch of the Year we've seen incredibly tough competition - but the Apple Watch Series 3 came out victorious thanks to the addition of LTE, music streaming and improved health and fitness abilities. Shout-out to the super fashionable Louis Vuitton Tambour Horizon, which was our Highly Commended choice. Fossil Group bagged the gong for Fashion Tech of the Year thanks to its connected designer wearables across brands like Diesel, Kate Spade and Michael Kors. Levi's Commuter Trucker Jacket was our Highly Commended choice, as it sought to bring Google's smarts to everyday clothing. Our Hybrid Watch of the Year was the Garmin Vivomove HR for its admirable blend of smarts and styles, while newcomer Kronaby earned our Highly Commended award for delivering a sleek hybrid collection and really innovating with the onboard smarts. For the best in VR/AR Innovation, the Vive Tracker walked away with the top prize for finding its way onto baseball bats, shoes and even a piñata, bringing the real and virtual worlds together in the most unique way we've seen this year. Apple's ARKit won Highly Commended; while still very young, the technology is ripe for pushing AR into the mainstream. As for our VR/AR Experience of the Year, that went to Resident Evil 7, a feature-length game that raised the bar for mainstream VR, while Lenovo's Jedi Challenges experience was our Highly Commended for helping us fulfill our Jedi fantasies. Our Saves the Day award, recognizing the companies doing life-changing things, went to Re-Voice, which converts sign language into speech, something that could change the lives of millions of people when it arrives in 2018. Qwake Tech's AR firefighter helmet, which could help save lives, was Highly Commended. Solving sleep has been a big focus in wearable tech this year, and our pick of the top startups was Circadia, which wants to go beyond tracking and really help you improve your sleep. MyKronoz and its innovative hybrid smartwatch that became one of the biggest funded crowdfunding projects of all time was runner up of the night. The Sports Watch of the Year award was a big one for us with the Garmin Forerunner 935 for squeezing in top-class running, swimming and cycling tracking into a slim watch, and beating away approximately seven million other Garmin watches also vying for the award this year - as well as the Polar M430, which was our Highly Commended. For Speciality Sports Wearable of the Year it was Playertek and its smart vests, bringing the stats of the pros to amateur football players. Lumo Run, the clip-on wearable that offers real-time coaching for runners was our Highly Commended choice of the bunch. Hearable of the Year, another especially hotly contended category this year, went to the Bragi Dash Pro for being the most powerful thing we've stuck in our ears in the last 12 months, offering heart rate, translation, gesture controls and even Alexa. Samsung was Highly Commended for its super-polished Gear IconX (2018). Upright Go, the startup's second generation posture tracker was our pick in the Health and Wellbeing Tech of the Year Category. It beat the Nadi X smart yoga pants designed by Wearable X in our nod to the most innovative devices we've tried out this year. Ring took the Smart Home Tech of the Year award in association with The Ambient (our brand new smart home website - coming soon) for its smart doorbell and security cameras while firm Wareable favourite Nanoleaf and its modular lighting system was given the Highly Commended nod. And last but by no means least, our Fitness Platform of the Year award went to Strava, which beat Fitbit's app to the top prize as it continues to evolve from a workout tracking app into a social network - and a real community. I have to say that I have been using the Samsung gear iconX 2018 and the sound quality, build and functionality is just excellent.